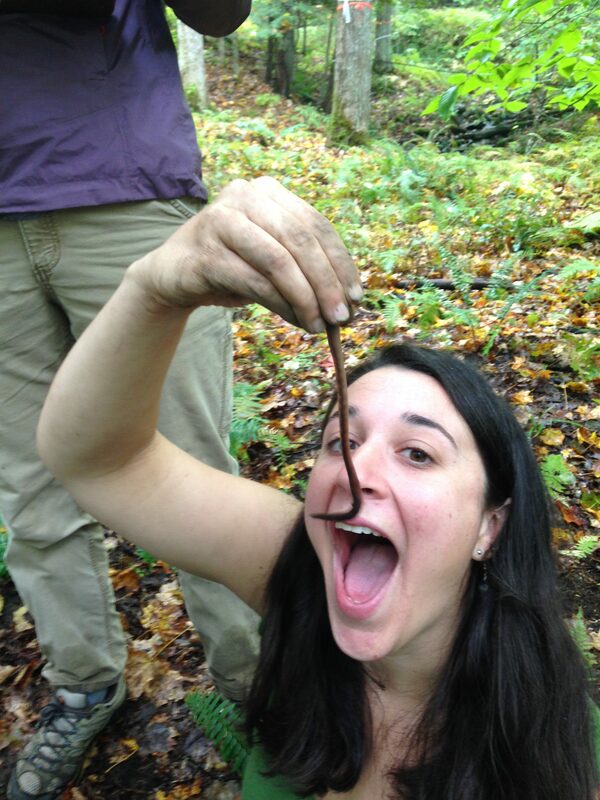 Did you know New Hampshire has no native earthworms? After glaciers receded from this part of the country at the beginning of the Holocene, the land was scoured and effectively soil-free. 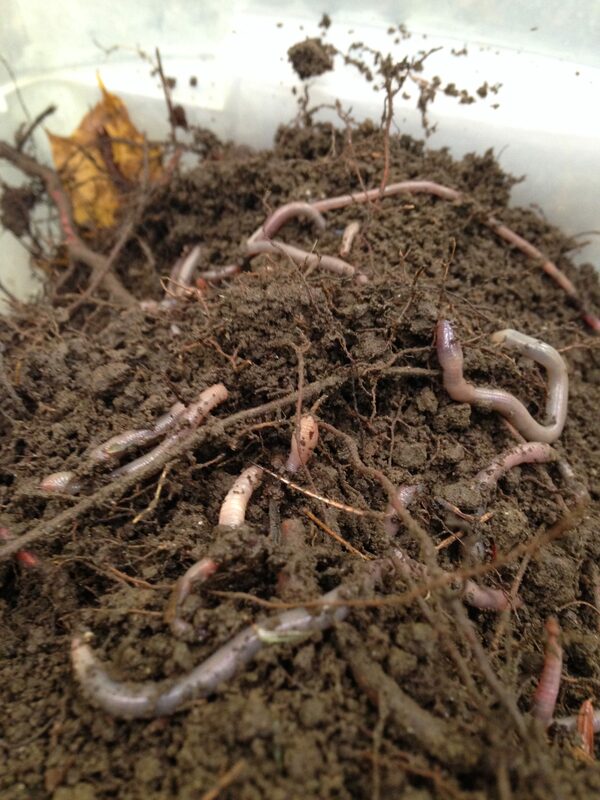 This habitat was unwelcoming to soil-dwelling earthworms, which cannot migrate far without human intervention. . . Enter explorers! 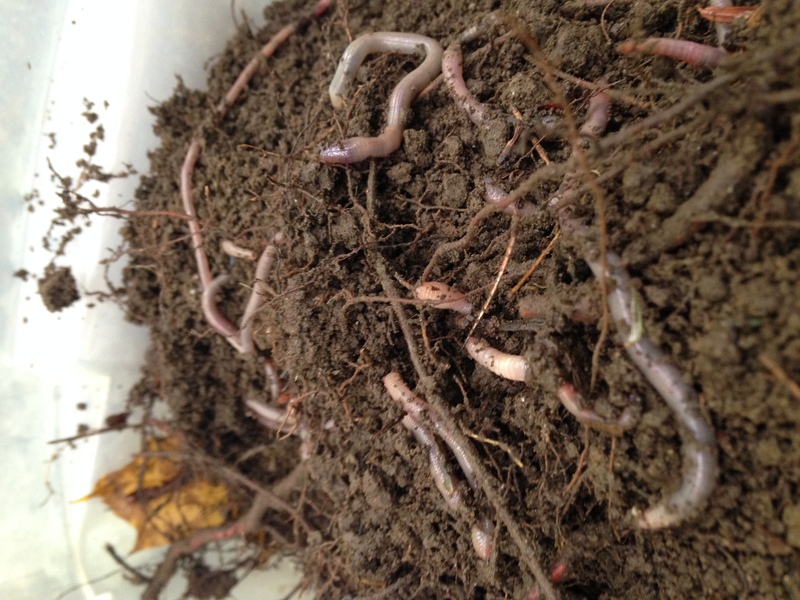 After Europeans arrived in North America, earthworms hitching a ride on their ships were able to colonize New England. 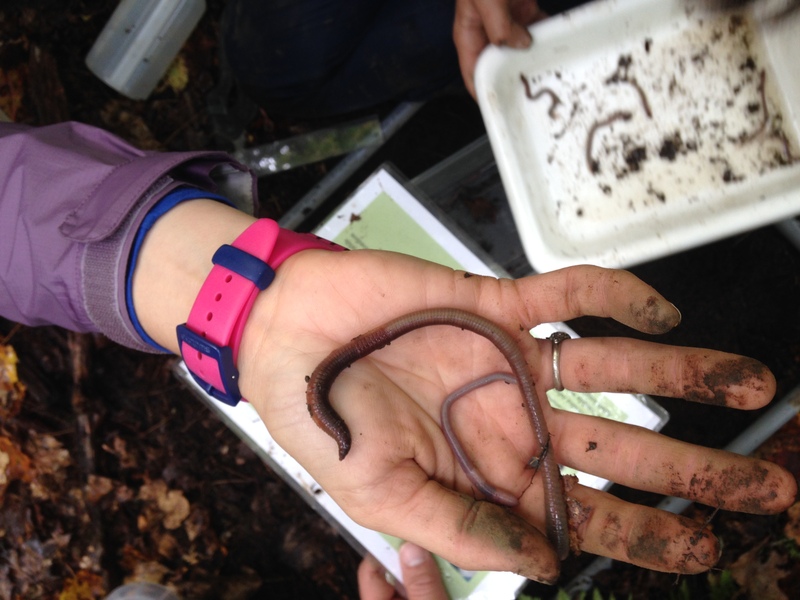 These days, earthworms are still moving around New Hampshire with the help of humans--as fishing bait, in soil on the wheels of logging equipment, and more. Sure enough, we found a fair few! 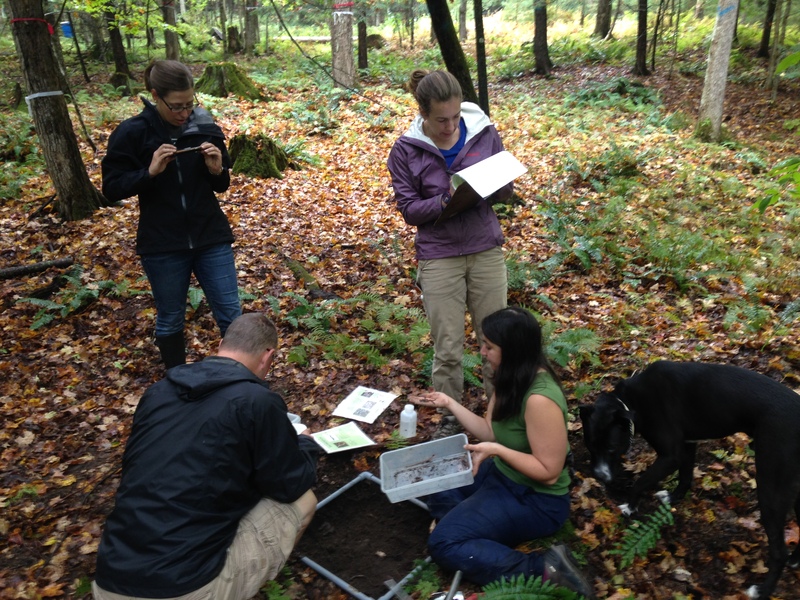 We identified at least five species. 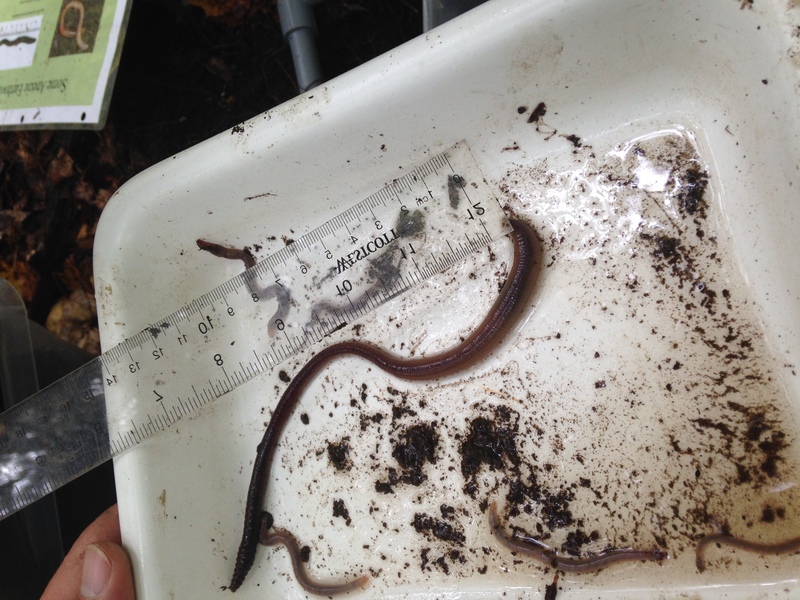 Nightcrawlers are great for catching fish...and teaching assistants! 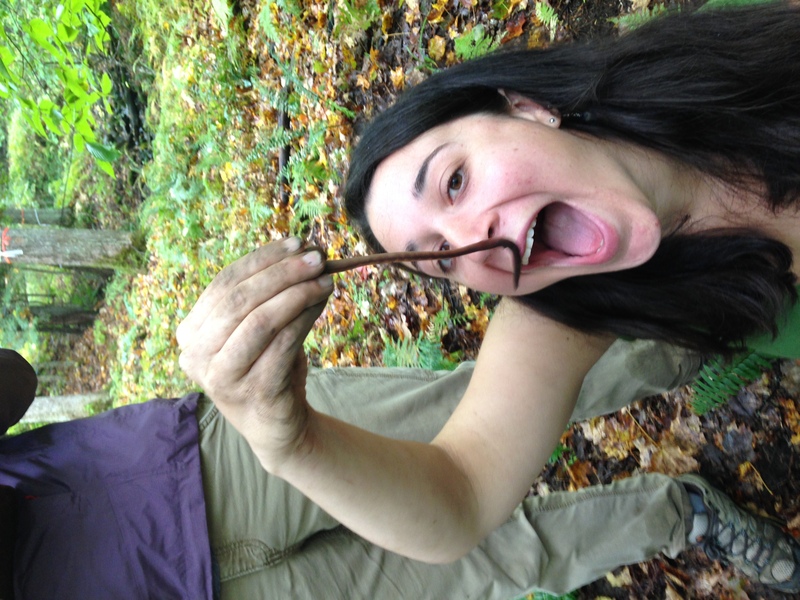 Our trip was a roaring success--worms galore, beautiful fall weather, and great enthusiasm for introducing our Ecology students to this interesting study system!